After Monet – the exhibition that recently attracted nearly one million visitors in Paris – comes “Manet: The man who invented modern art”. Just another impressionist you might say? But no, not at all. The title of the new exhibition of the Musée d’Orsay is promising enough. 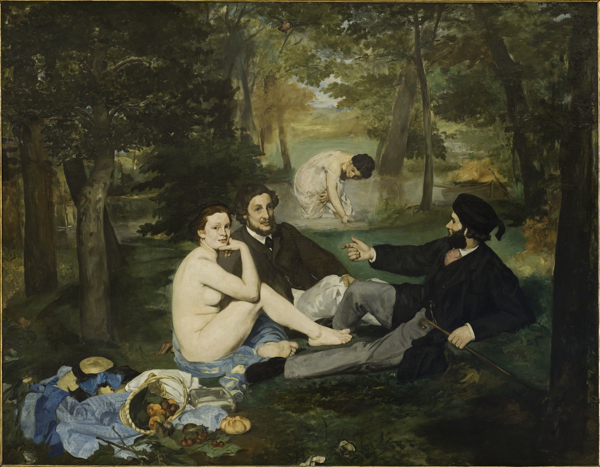 It makes clear that here it’s not about another strictly linear, monographic exhibition, but about one key question: how did Edouard Manet (1832-1883) contribute to a new way of seeing and painting reality? How, in other words, did he prepare the way for artists like Picasso? That’s why the exhibition tries to explore and highlight the historical situation around him, including Romanticism, the impact of his contemporaries and the changes in the media at the time. Manet was also modern in the way he challenged the ancient masters from Fra Angelico to Velazquez. He chose not to be shown with the Impressionists We are definitely not talking about just another impressionist. We are not talking about another Monet. While Manet befriended the Impressionists and was a generous benefactor to Monet, he chose not to be shown with them in their controversial exhibitions of the 1870's. And what is immediately apparent when comparing Manet with Monet is this: Monet sought inspiration from nature, Manet in faces. The former scintillates with landscapes, the latter with portraits. There are women, models and, you can feel it, affairs. There is Berthe, Berthe Morisot, the one who is so impressively starring into space in the famous painting “The Balcony”; the one who he painted more often than any other women; the one who married his brother, in the end. Manet himself finally married Suzanne, the piano teacher of his brothers, his mistress for 13 years, who could have been the mistress of his father... who died of syphilis, like his son would later. It seems that nothing was simple in the life of Edouard Manet. Let’s put it this way: in Manet's work you feel the presence of drama. And may be that’s what makes him feel so modern. Look at “The dead Toreador”: a dead body lying on the ground, as if he were photographed, black and white, but then, suddenly, you discover this tiny splash of color, red like blood. Manet even prefers to paint flowers once they are cut. 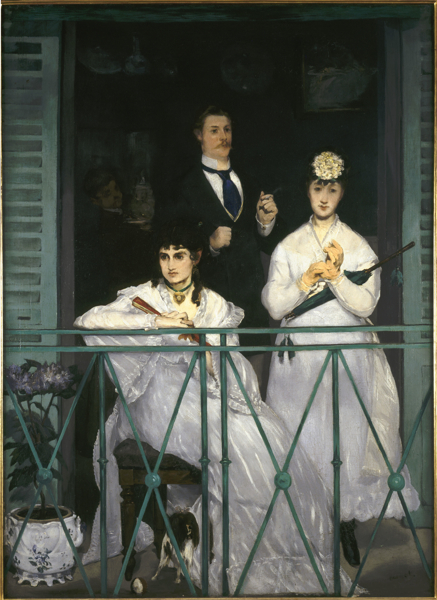 To this day, Manet’s work is often described as the first truly modern painting. Remember what happened when his Olympia was displayed at the Paris Salon in 1865: it was one of the great scandals in the history of art. The naked Olympia, only dressed with a single black ribbon around her neck, nearly provoked a riot. People were shocked by this painting, so daring in both subject and technique. Why? He was one of the first who didn’t hesitate to show reality: "we must be of our time and paint what we see." 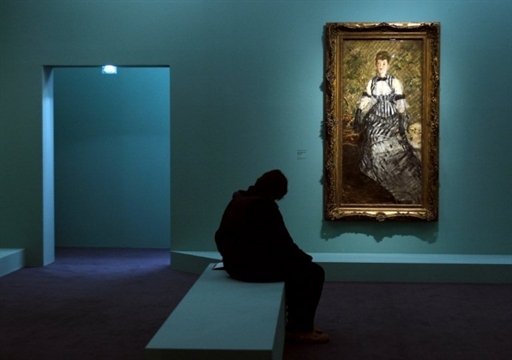 There has been no exhibition exclusively devoted to Manet in France since 1983. It is high time to rediscover him and his fascinating and somehow painful relationship with women. Manet often insisted on “the freedom to create”. Looking at his paintings today shows: this freedom made the difference. 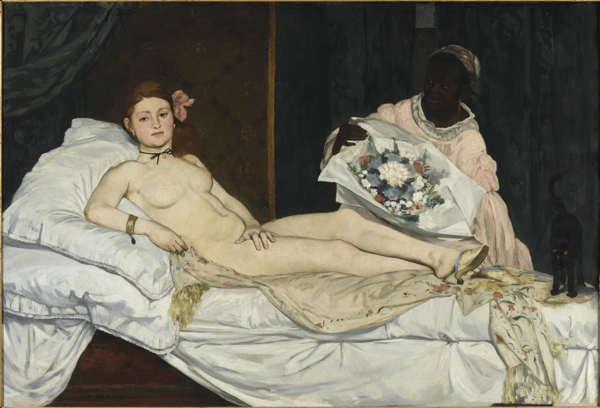 Manet: "we must be of our time and paint what we see."